IN THE TROPICAL HIGHLANDS OF BOYACÁ, COLOMBIA. VisitSugamuxi is a travel guide to visit the province of Sugamuxi (Boyacá, COL); a diverse, mountaineous and colorful Andean region of Colombia, in the east wing near to Los Llanos. Here you will find useful information about the region, where to stay and what to do in this unique part of Colombia: home of the main base of Muisca indigenous culture, Lake Tota the largest lake in Colombia and 2nd highest navigable in South America (after Lake Titicaca), endemic birds and high Andean unique water basins, home of an important sample of páramos -mega diverse and worldwide rare ecosystems; and more! 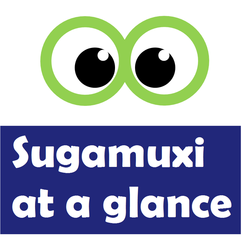 Welcome to Sugamuxi, and enjoy your visit! Learn more about Candelas Waterfall here.